The sculpture is one of the Fine Arts which let the artist express himself by welding, molding or carving in different materials. For a long time the sculpture helped illiterate people understand history, events and concepts. The sculptures could be seen as carved stone books. Sometimes the ornamental sculpture plays a role, especially since the twentieth century. This ranking tries to discover the Hungarian artists who have left their mark on the history of sculpture. 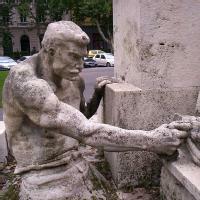 In your opinion, who is the best Hungarian sculptor of all time? Go ahead and participate! Who are the Best Paraguayan Sculptors in History?? Who are the Best Lithuanian Sculptors in History? ?